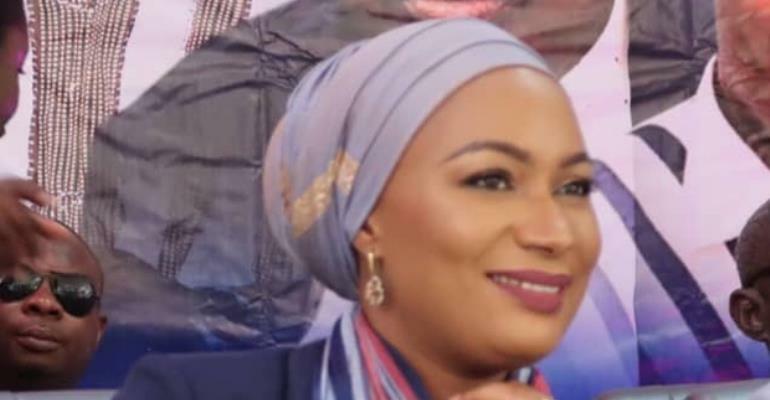 Second Lady of Ghana, Samira Bawumia, has urged Ghanaians not to allow the opposition National Democratic Congress (NDC) to return to political office again. According to her, the ruling New Patriotic Party (NPP), has worked tirelessly within just two years to return the country onto the path of prosperity, once again. She stated that President Nana Addo Dankwa Akufo-Addo’a government has laid concrete foundation for a massive development to take place. In this regard, she warned that it would be suicidal if the NDC, who she claimed lacked competence to rule, are allowed to replace the NPP in 2020. According to her, destruction and propaganda are the NDCs stock in trade, adding that the NDC should be confined to life in opposition for many years. “We should not allow the NDC to come back into political office to destroy the amazing successes that the country has enjoyed within the last two years”, she warned. The Second Lady was speaking during the Ashanti Regional NPP Youth Wing Conference and Inauguration at the KNUST in Kumasi on Saturday. Samira Bawumia observed that the country and its citizens were plunged into abject poverty and hardship during the eight years that NDC stayed in political office. She said it was God, who rescued the country from total destruction by helping President Nana Akufo-Addo to win the 2016 presidential election. The Second Lady stated that despite the huge successes chalked so far, the NPP administration still has more to offer the country to improve living standards. “Our two years is far better than the eight long years that the NDC used to create total mess of the economy. We are ready to give more”, Samira said, attracting applause. She mentioned the free Senior High School (SHS), One District One Factory, Zongo Development Fund and Digital Address System as some of the NPPs achievements. Samira indicated that most of the NPP programmes are structured to help improve the lives of the poor and vulnerable in society. She therefore implored the populace to continue to support the NPP administration so that they would stay in political office for a long time and develop the country. The Ashanti Regional Minister, Simon Osei Mensah, Minister of Information, Kojo Oppong Nkrumah and Henry Nana Boakye, NPP National Youth Organizer, were at the programme.